Posted on 01 September 2012. The Circus of illustration invites you to become illustrators for the day and join us at “The Drawing room ” 24 Mill St Pop Up on September 15th between 10 and 4. 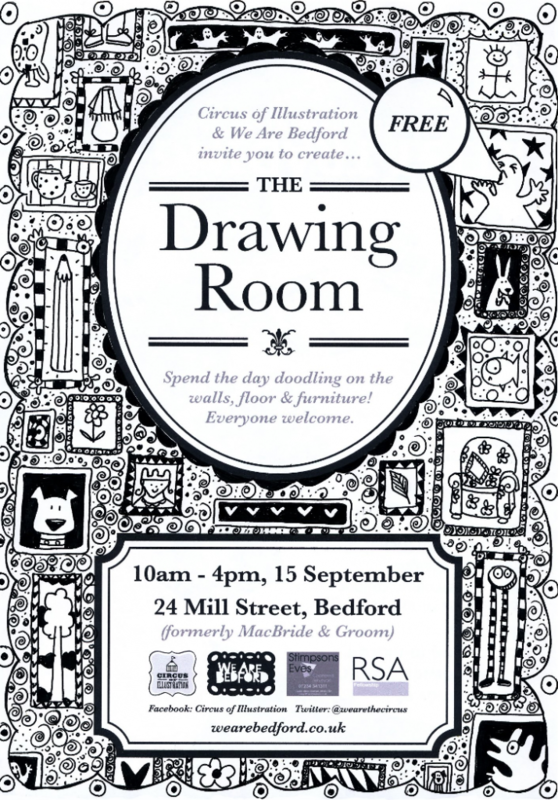 We’ll be covering everything with doodles, creating a literal room of drawings and a room to draw in. 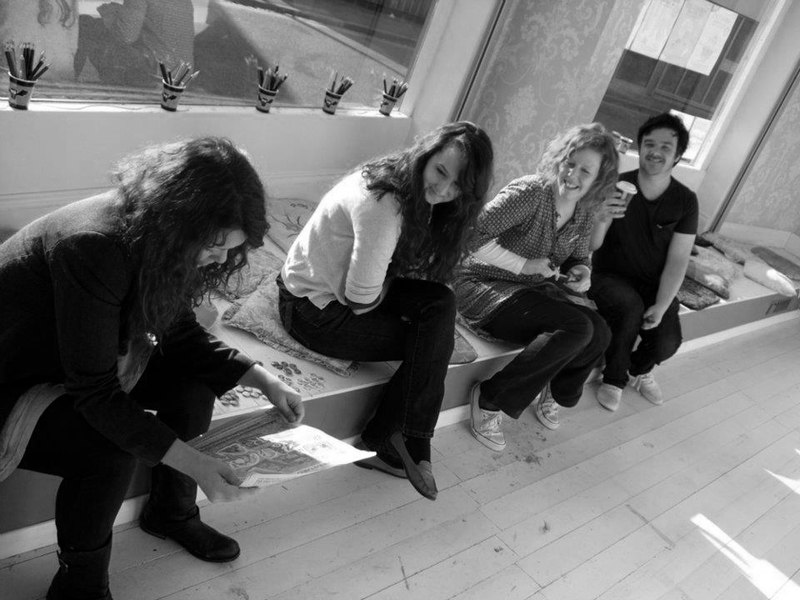 The event is a unique interactive live draw which once completed on the day will remain in the Mill street shop as an exhibition for a short time. It is part of a show case of events happening in the Pop Up which is supported by the We are Bedford empty shop bursary scheme. The Circus of illustration is a group of illustrators working in Bedfordshire. Our core members are Rachel Lovatt, Andrew Foster, Marisa Straccia, Katy Dynes, Alasdair Bright, Scarlett Tierney and David Litchfield. They are dedicated to the promotion of all things illustration, holding regular exhibitions along with social events such as our monthly Drink and Draw evenings. They aim to build a community and support network for other people in the profession and now have many dedicated member. They have put together a directory on our webpage showcasing each artists work- so if you need an illustrator visit our website here or if you just want to join in the fun have a little look at our Facebook page for future event information.